When a landfill has reached its capacity it is covered or “capped” using a geomembrane. This capping of the landfill isolates the contaminated material from the environment. A drainage layer is placed on top of the geomembrane followed by a vegetated soil layer. 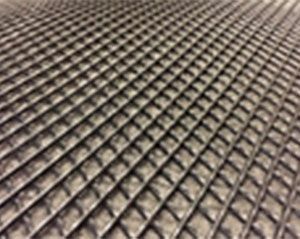 J•DRAIN drainage composites are engineered to capture water and efficiently channeling the water away from the geomembrane. Specialized drainage composites can also be selected that provide both drainage and water retention to support grow within the vegetated soil layer. It is a less expensive alternative to drainage aggregate, filter fabric and perforated pipe. The three dimensional core creates a high compressive strength and high flow capacity drainage channel and the fused filter fabric prevents soil intrusion into the flow channel.